When the summer temperatures are in the upper 90's (and breaking 100 degrees! ), you know it's summertime in Louisiana. Summer in Ruston is a great time to slow down, relax, and enjoy the charm of this small college town. While the summer months bring in a more relaxed atmosphere, there are still plenty of fun things to do and enjoy in the area! One of the best parts about summertime in Ruston is that local peaches are in season, which means fresh, homemade peach ice cream is available at the Mitcham Farms Peach Store! Not only is the Peach Store famous for their creamy and delicious peach ice cream, but they also carry a huge variety of peachy items from jellies to candles to dessert mixes and more. Fresh peach ice cream is only carried through August, so make sure you visit the Peach Store soon for this cool treat! The Ruston Farmers Market will be open every Saturday through August 13th for the summer season in a brand new, covered building! 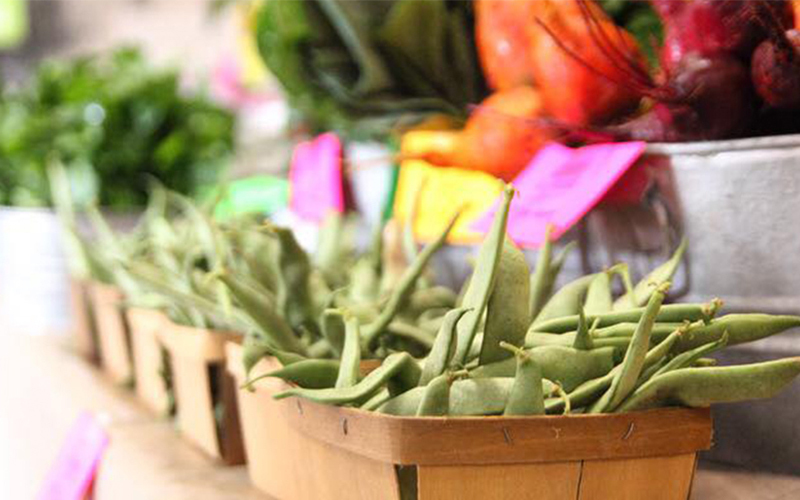 Come shop a great variety of fresh produce, locally-made products, homemade goodies and more! Get a meal out of the trip by enjoying breakfast tacos from Tacos the Guero and locally-roasted coffee from Railway Coffee. Find more info on the market here. Lincoln Parish Park is one of the most popular and highly-rated attractions in the area. While the park is well-known for its challenging bike trails and nice camping grounds, it also offers a spacious and clean beach area where anyone is welcome to swim and play. 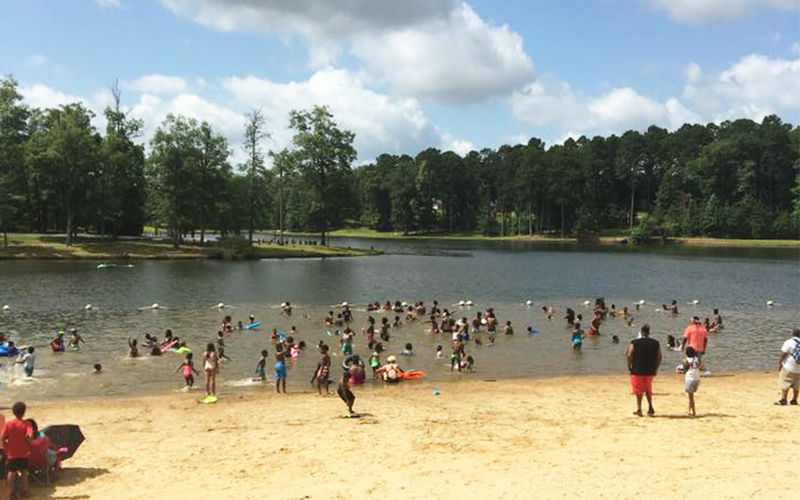 Take a dip in the lake to cool down on a hot summer day! 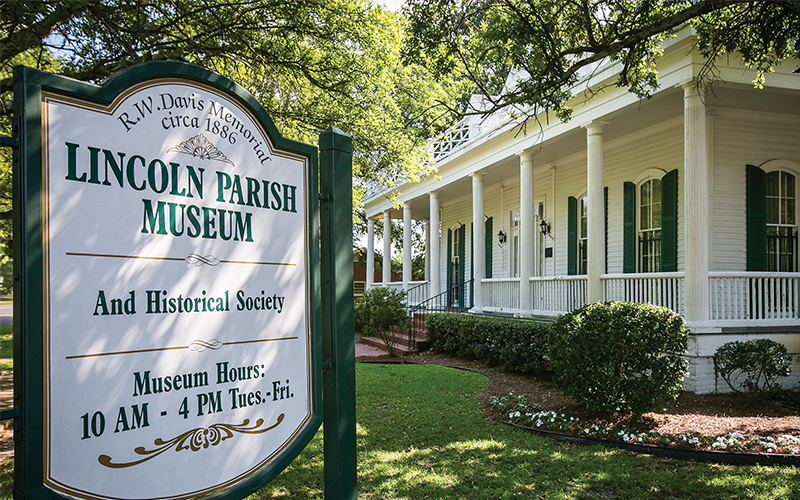 Lincoln Parish is home to three great museums, all of which are open weekdays and offer free admission! 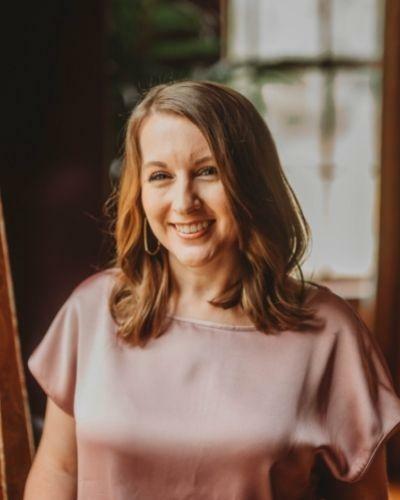 Enjoy learning about military history at the Louisiana Military Museum, local history at the Lincoln Parish Museum, or football history at the Eddie G. Robinson Museum. Get out of the house and escape the heat with a visit to any one of these wonderful, local museums! When it’s just too hot to be outdoors, find yourself some air-conditioned fun. 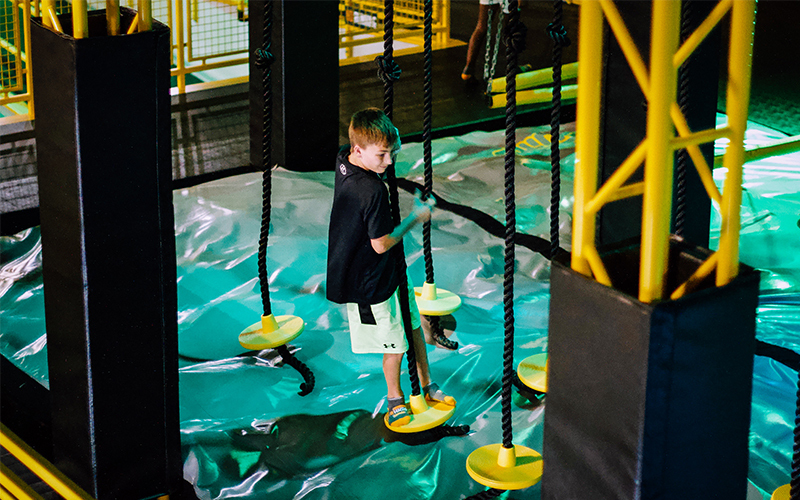 2High Trampoline Park provides hours of fun for the kids of all ages with open jumping, dodgeball, ninja courses, and more. Looking for something for the adults to enjoy? Ruston is a great place to find live music and entertainment. Sundown Tavern, Ponchatoulas, Portico Bar & Grill, and Utility Brewing are all local spots where you can regularly find live music to enjoy with dinner and/or drinks. Visit our online events calendar to see who’s playing next. We hope you give these fun summer activities a shot next time you're in the area! Let us know what your summer activity is in Ruston!